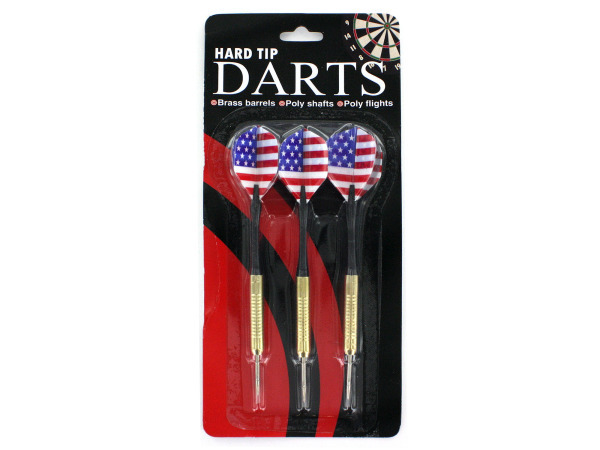 Show your American pride while playing darts with this 3-piece Hard Tip Darts Set featuring strong, durable darts with brass barrels, poly shafts and poly flights with an American flag design. 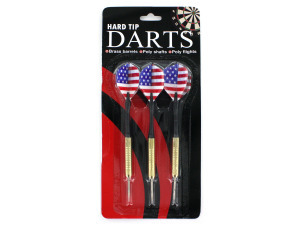 Each dart measures approximately 5 3/4" long. Comes packaged in a blister pack.